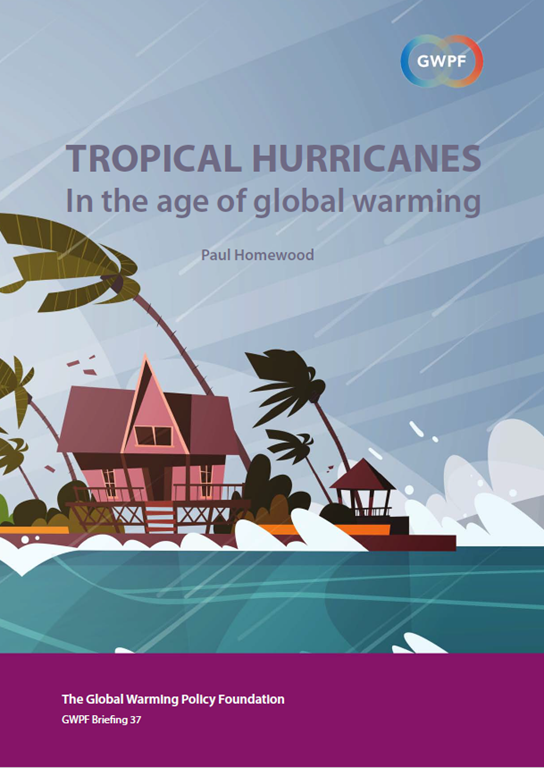 Tropical cyclones are known by various names around the world – hurricanes in the Atlantic, typhoons in the W Pacific and so on. Can I just make clear that this GWPF paper refers to ALL TROPICAL CYCLONES, not just Atlantic hurricanes. 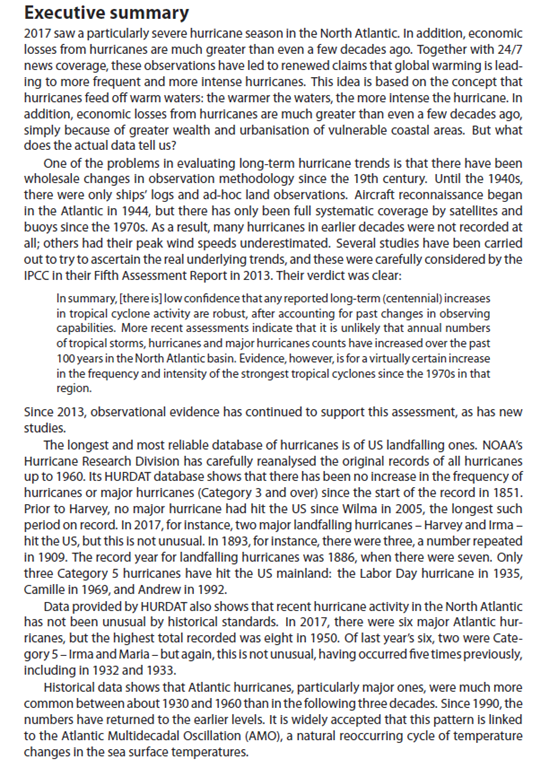 The Introduction of the paper makes clear that all references will be made to “hurricanes”, purely for the sake of simplicity. Excellent report. Well done Paul. A great succinct summary of reality. Thank you, Paul Homewood. Nobody is listening in California! 2019 started with a bang; 1,019 new laws signed, including a mandate that utilities make 60% (UP from the previous 50%) of their power from ‘renewable’ sources by 2030. I would like to say I feel sorry for the poor fools but in fact I hope to split my sides laughing in the not too distant future. Looks like people are going to have to learn by experience how stupid they are. What about the other 5 basins? Kind of a usa-centric world view? The paper does cover all TCs, but as I make clear in the intro, I have stuck to the term “hurricane” to avoid confusion.